Recently, I had the honor of partnering with Basic Invite! I had the opportunity to order samples of their invitations and learn more about this awesome company! First off, Basic Invite’s customer service is phenomenal. I’ve had the pleasure of working with two awesome ladies from the company and they were amazing and super helpful. Basic Invite offers unlimited colors and you can view your designs online. There are over 180 different color options. When I was sampling/designing invitations online, I played with different styles and colors. Also, there are over 40 different color envelopes to choose from! All envelopes are peel and seal (so easy) which is the way to my heart when addressing and sending invitations. I love the fact that I was able to receive samples of the invitations before ordering an abundance of them. Seeing something online as opposed to in your hand is completely different. All of the prints were so clear and crisp! Plus, they were delivered to me very quickly! Initially, when trying to decide what to design and order, it was a tough decision. 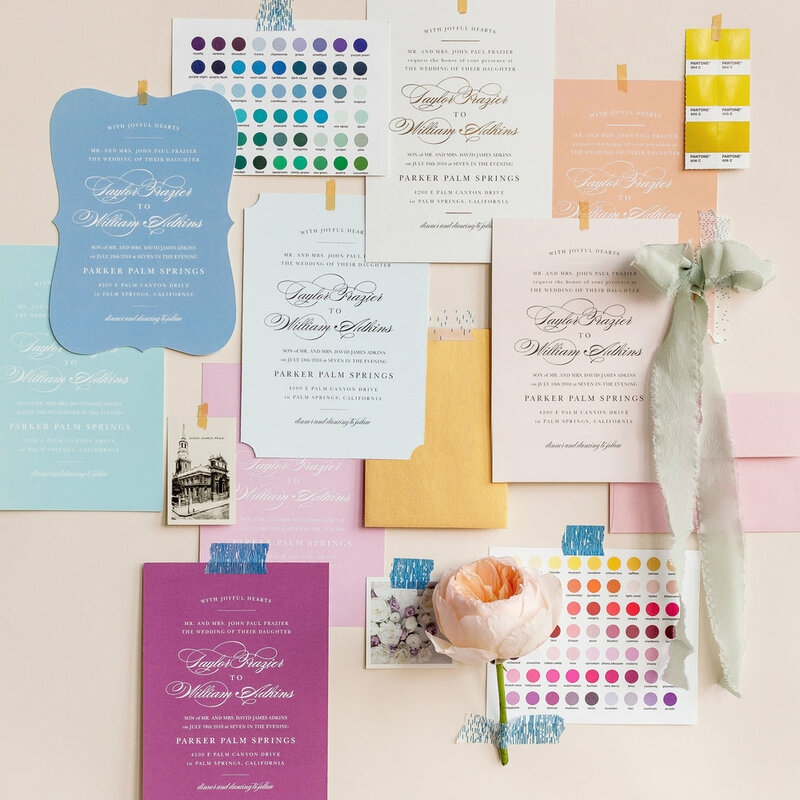 Basic Invite has over 1,000 wedding invitation sets. I looked at Save the Dates, Wedding Invites, Announcements, Programs, etc. The options to me seemed endless and there was something for everything style/theme. How cool is it that Basic Invite offers a free address collection service? You can use their free address collection service to request your addresses with just three simple steps. Share a link, collect addresses, and get free envelope printing! Winning! Also another free service—a wedding website! 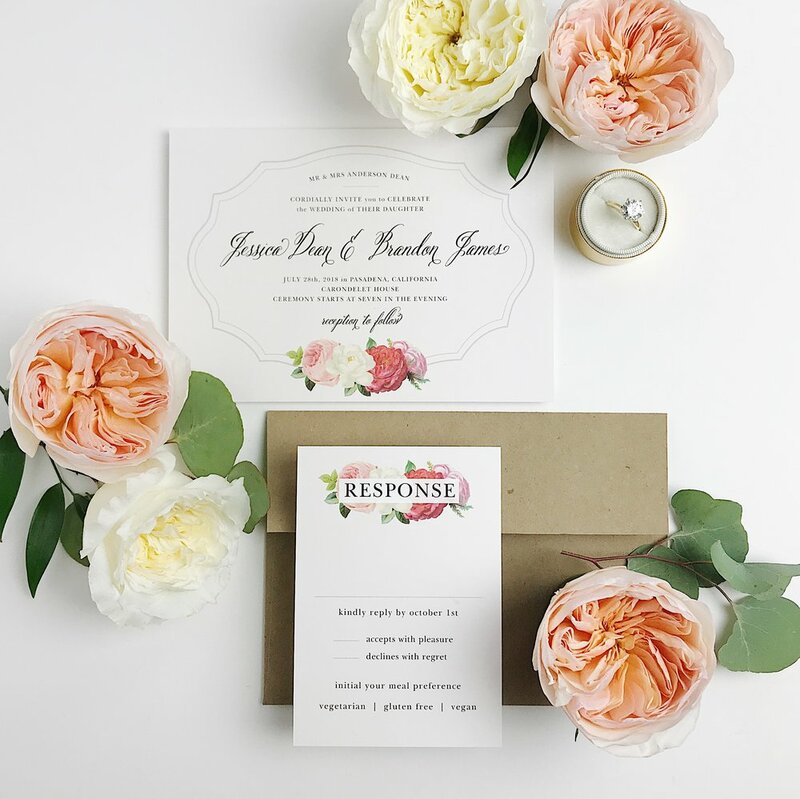 You can customize your wedding website to match your wedding invitations. How cool is that? Their newest collection of invitations are the Seal and Send Invitations. 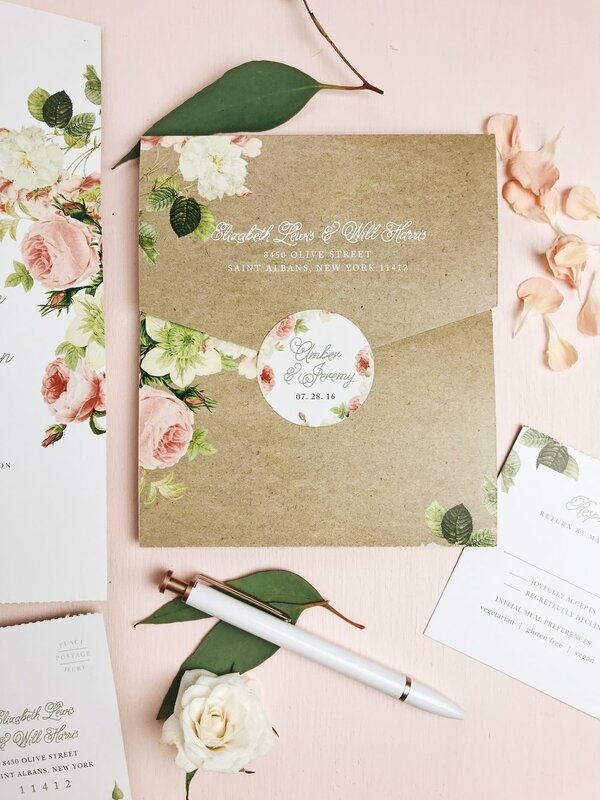 The Seal and Send Invitations are an all-in-one wedding invitation with a tear-off RSVP postcard included! Currently, Basic Invite offers them in over 30 designs including foil options, plus they can be customized. Also, what's extra special about the Seal & Sends is that guest's addresses are printed on the front of each invitation which means no envelope necessary! With my experience, I will have to say the clear invitation was my absolute favorite! I loved putting florals underneath it. 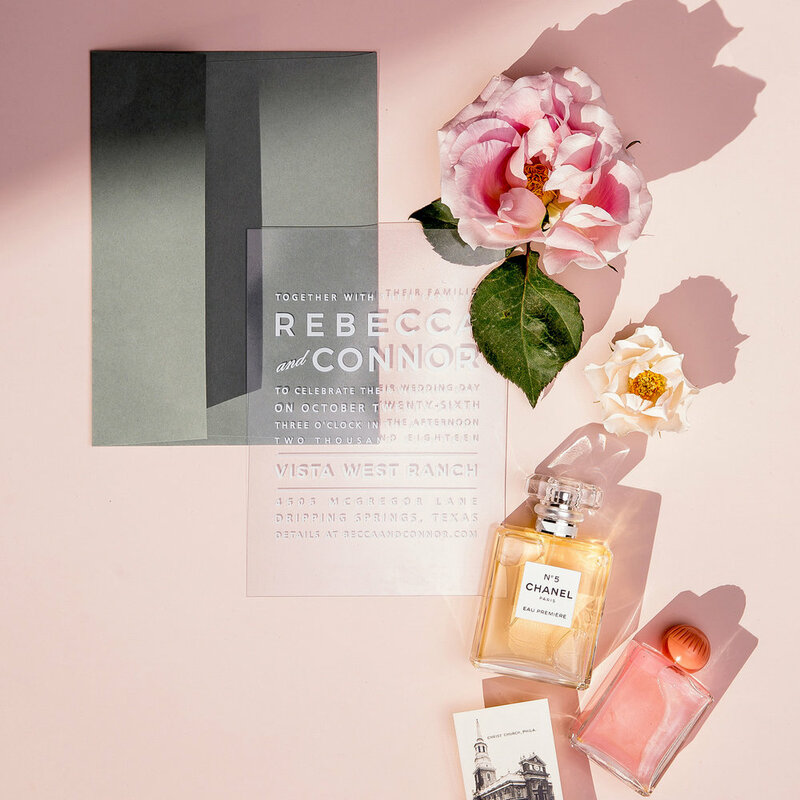 Can you imagine how awesome a clear invitation would photograph for your wedding images? Swoon! Check out Basic Invite! You won’t be disappointed! You’ll fall in love with their options and quality!